Many of you are thrilled about the new DragonMint B29 that features unseen hashing power for Decred (Blake256R14 algorithm-based coin). The B29 is quite expensive by being priced $5,400.00 USD on the official Halong Mining website. For that money, it offers a whooping 2.1Th/s Decred hashrate with a power consumption of only 900 W.
Anyone who would get this miner today would enjoy a profit of $180 USD/day. 2-3 month ROI ASICS aren’t something you see every day, so my question is – how real is this upcoming miner? Is it too good to be true? Should you sell your house to order one ASAP? It is no rocket science that our mining rewards are greatly affected by the total network hashrate: the more the hashrate, the less is our reward. For instance, today the total hashrate of the Bitcoin network exceeds the 29,500,000 Th/s mark. 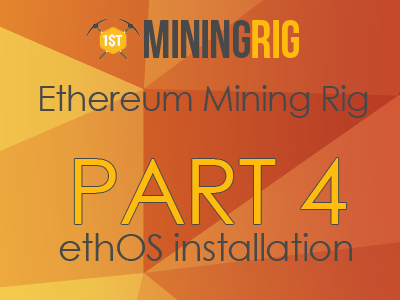 This means that introducing a batch of 2.1 Th/s miners to the network won’t produce any noticeable change. Now, what about the Decred network? According to dcrstats, Decred network hashrate is hovering around the 1,500 Th/s mark (2,400 Th/s now). This means that it will take only 750 DragonMint B29 miners to double the network difficulty. I have no idea how many B29 miners Halong Mining will sell, though I doubt those numbers will be anywhere below 1 000. Let’s also not forget that other companies are releasing Decred miners too. We’ve got two main giants coming out soon that are the Obelisk DCR1 and the Materia1 Decred. I have no clue where the network difficulty end up being in half year, though I am certain that it won’t remain on the 1,500 Th/s mark for long. As for today, the miner can be preordered on Halong Mining website. Every unit comes with its own power supply. The price also includes shipping costs. The first batch will be shipped between 22 and 30 March. Looking back at SIA and Dash ASICs, I realize that difficulty bombs are real. I remember back in the day, the Antminer A3 expected profitability was a whooping $141,638 USD per year. Once everyone received their units, profits dropped to an $18,269 USD/year. Same happened to the Antminer D3 for Dash – in less than two months D3’s performance dropped from 34 DASH/month to 2 DASH/month. Network difficulty bombs are a thing and I really hope you keep that in mind when deciding to purchase your next ASIC. I am not saying that the B29 is a bad investment, neither I am saying it is a good one. My advice is though, to not expect too much from this new miner. If Decred will see the same difficulty increase as Sia and Dash after the introduction of next-gen miners, then you can expect the B29 to produce somewhere around $30 USD/day. 10 month ROI is still okay for an ASIC. Will that number increase further after the release of the Obelisk DCR1 and the Materia1? What is your take on this? Storj Review – Is HDD Altcoin Mining the New Black?